People are naturally Agile. Our personal lives require us to demonstrate our ability to adapt more than our professional environments often allow us to do. Scrum, much like life, is all about adaptation. Scrum sets opportunities for professionals to regularly inspect in order to adapt. Inspection without adaptation is pointless. An act of futility. 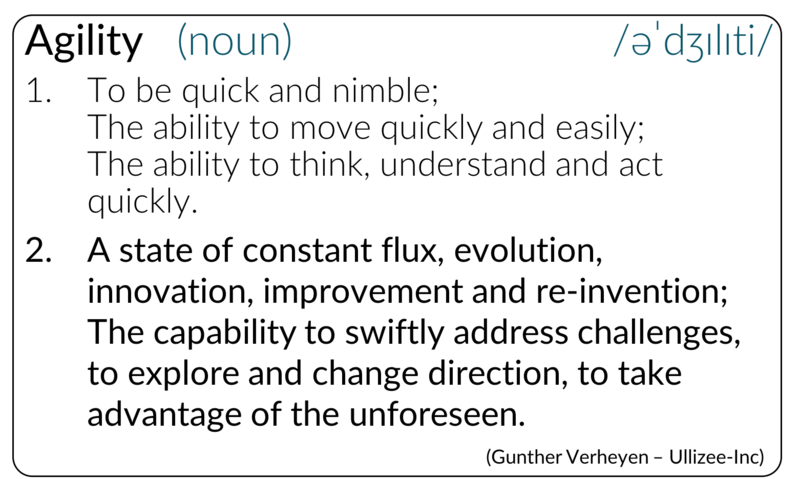 The simplest word that might adequately define “agile” is “adaptive”. Adaptiveness, the ability to adapt, is more than ever needed in our world of complexity, creativity, fierce competition and unpredictability. Hence, the criticality of agility, not the illusion of agility that many Agile transformations result in. Agility is reflected in an organization’s unique way to respond to change, absorb important disruptions, capitalize on unforeseen opportunities and -ultimately- cause innovative change. 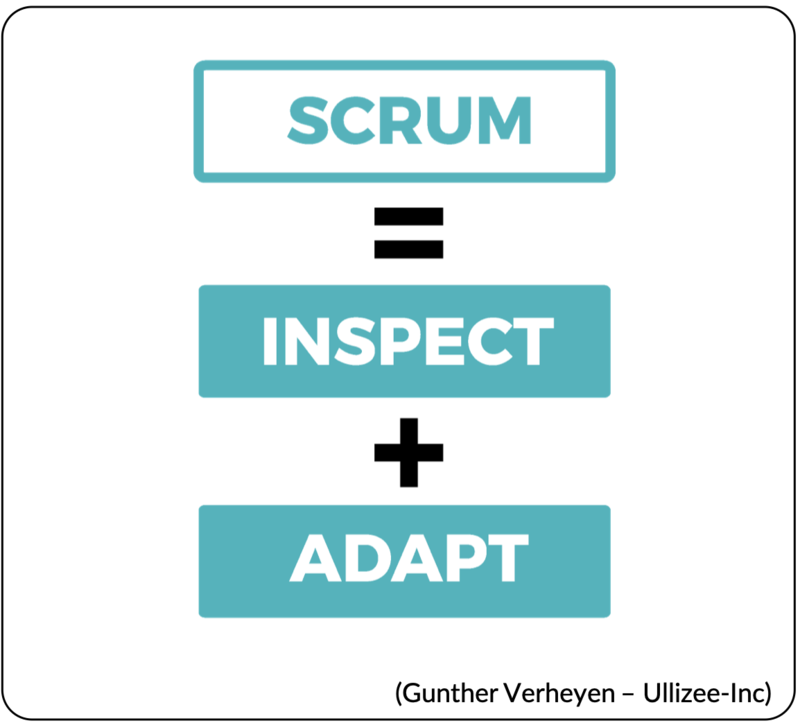 Scrum is all about inspection and adaptation, and therefore a way to become more Agile, to increase the ability to adapt. The framework of Scrum is a foundation upon which to increase the agility that emerges from frequent inspections and adaptations. Scrum sets no more than boundaries to elevate self-organization with frequent reminders for all players involved to adapt upon observations (inspection) of reality, new insights, acquired experience, changing expectations. Scrum re-inserts some common sense of life back into a professional environment. The process of inspection and adaptation, and therefore Scrum, thrives on a dualistic relationship with transparency. The process of inspection and adaptation requires as well as creates transparency. Adaptations that are not based on observations of reality, but of some faked reality, make no sense. They even have the danger of worsening a situation, and increase obfuscation rather than enhance transparency. On the other hand, Scrum also makes reality highly visible, at least at each event. This transparency offered by Scrum is easily cheered and embraced when progress and results are as hoped for, but not so much when that is not the case. Inspection and adaptation are inseparable acts. Adaptation is a conscious decision about the nearby future. Even the decision to keep a certain way of working in place, actually, is an adaptation, when taken consciously. For a decision of adaptation to be an informed decision it is best based on inspection, i.e. an act of observation and consideration. Adaptation without observation and reflective inspection misses direction. It is likely no more than a shot in the dark, rather than a deliberate evolution. Inspection without adaptation, in our world of complexity, creativity, fierce competition and unpredictability, makes little sense. It makes little sense to gather information about the past without considering how to deal with that information next. 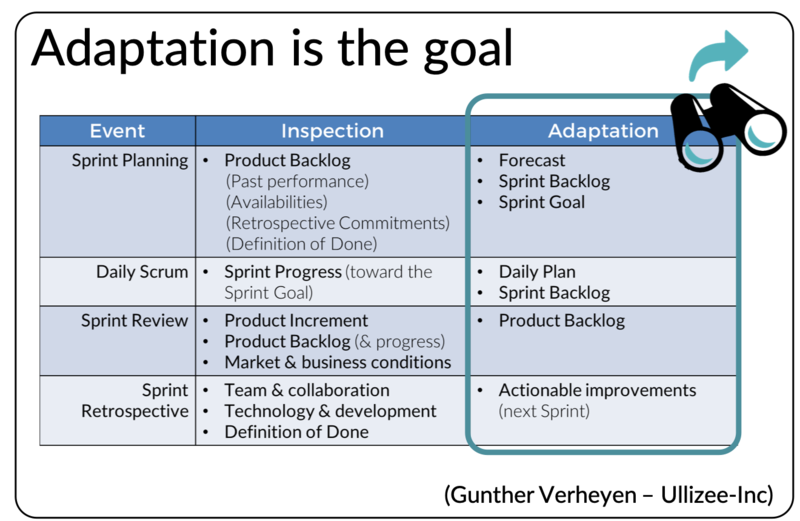 In Scrum, inspection without adaptation is a futile act that serves pretend-agility at most. The artefacts of Scrum are dynamic placeholders holding essential information that serves the process of inspection and adaptation. 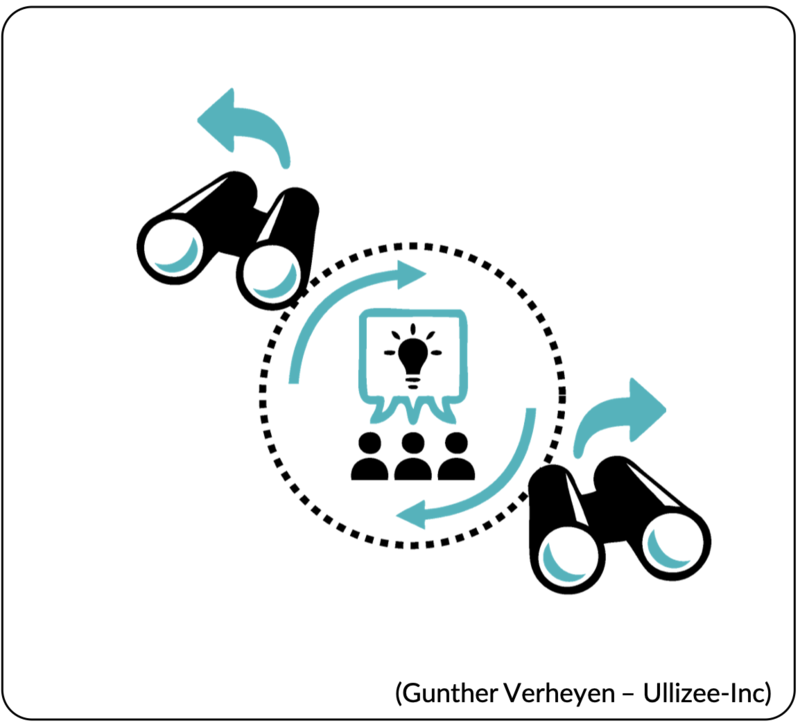 Every event in Scrum is an opportunity to inspect and adapt upon this evolving information. The purpose, time-boxes and frequency of the events allow people, the inspectors, to balance focus on getting work done and openness for change. Inspection for the mere sake of inspecting, without the ambition to adapt, is pointless in Scrum. All Scrum events are intended to be forward-looking, as opportunities to shape the future. None of these events were designed for reporting or status purposes. In the world of high dynamism that leads to deploying a work process based on Scrum it would be very strange if teams did not capitalize on new information and insights that improve their work life as soon as possible. Scrum makes sure it happens never later than at the foreseen events. Scrum assures that the art of empiricism is performed no later than at the time of these events. 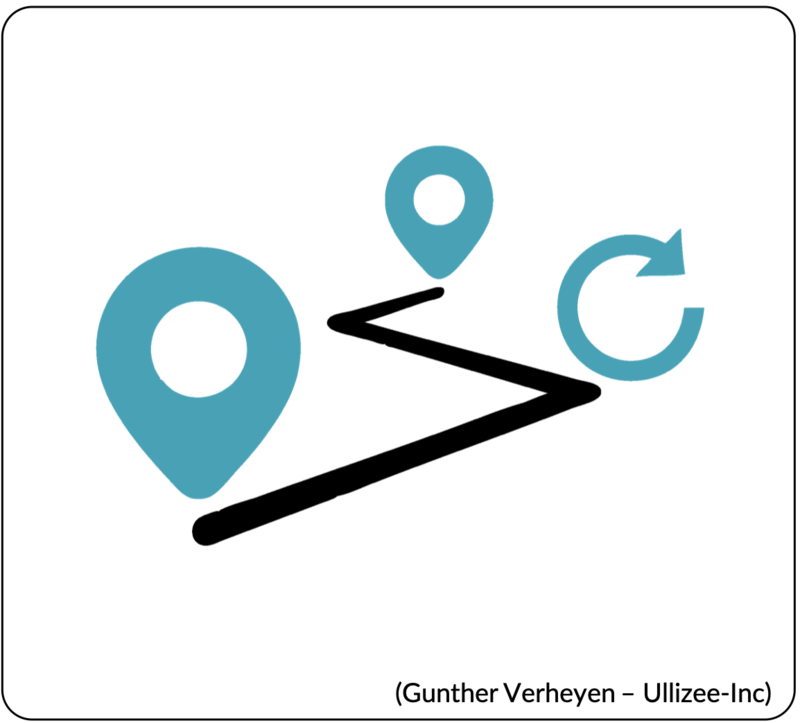 Within a Sprint, as an overarching event, development standards and practices provide additional feedback loops. Across multiple Sprints, where a Sprint is a completely defined cycle in time, forecasts can be made, and growth tracked, towards goals and ambitions. Scrum helps you inspect and adapt your way to unpredictable destinies. In complex and changing environments adaptation is key. These are the environments that demand the adoption of a framework like Scrum. Inspection without adaptation is pointless in Scrum. It is an act of futility and pretend-agility. The question for me is often, what is the question of adaptation, what are the longer term goals, like a product vision and roadmap or the change vision and higher level system improvement goals. Those are usually unclear and so adaption doesn’t take place above the team level.